I don’t think I’ve driven a more understated ‘performance’ car in a long time. And I don’t know whether that is a good or bad thing. 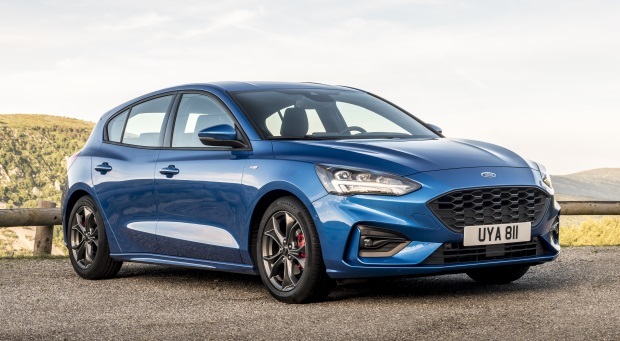 The Hyundai i30N – yes the humble i30’s hot, hot brother – has a throbbing alter ego that has broken all sorts of records thanks to its power and pace. But, you would never think it to look at – unless you peer closely for a few clues on the exterior (subtle body kit). And inside: yes there is a pale blue line to illuminate some of the minor switchgear but it isn’t up to much. Other than that there isn’t a lot to lift the sense of omnipresent grey. And then when you do get moving, there is the heaviest steering I’ve come across for a long time. So first impressions were not that great. They don’t always last, of course. Basically, it is all about what the i30N is supposed/expected to do. 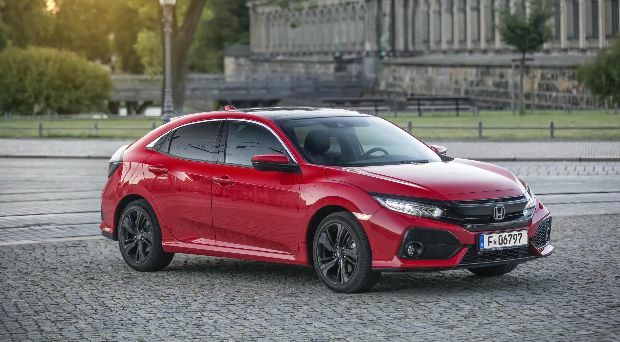 Just like we say of the Volkswagen Golf GTi, Honda Civic TYPE R, Megane R Sport, SEAT Leon Cupra, Peugeot 308Gti and so on. They are supposed to excite, make us want to own one. The Hyundai is about even more than that, though. It is also statement of intent to show what the company can do – and intends doing. 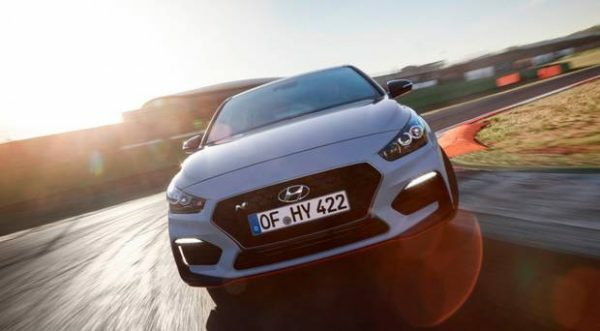 The i30N is made to generate a buzz around a brand; the sort of thing that rubs off on other cars in the group as well as realigning the company in the public mindset. I don’t understand much of the perception stuff but if Hyundai are doing it then it must make sense. They have brought in top talent from European marques to build the car and its drive, so that more than fans of the World Rally Championship know of the N sub-brand. Which means this car’s ability spans hair-raising gravel and asphalt special stages of the WRC to the vagaries of the Woodfield Bog road in Co Offaly. The i30 N is not sold nationwide. They have a ‘select’ number of dealers stocking it. The price is €39,995; it emits 163g/km and the road tax is €570. 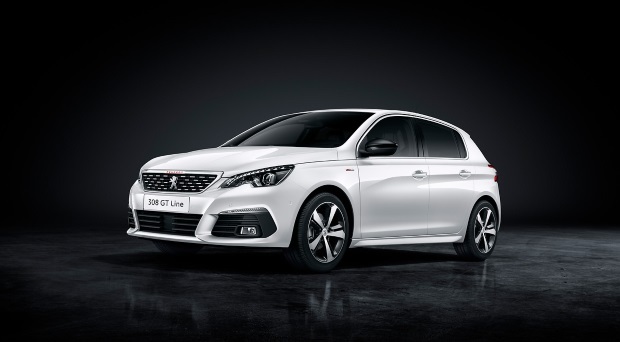 I should emphasise the car is absolutely laden with mechanical and equipment spec – something that makes the price look like a good one when compared with some rivals. Powering the newcomer is a turbocharged 1,998cc petrol 4cyl with an excellent 6spd gearbox channelling power with the help of a lovely short, slick shift. The car sits a tad lower than the standard i30 hatch, has adaptive suspension and you’ll just about detect that subdued body kit. For a messer like me, it was great to be able to do so much with the technology: changing suspension scope, throttle response, electric steering (rack-mounted motor) and stability control (you can switch it off altogether). Great fun. Not only that but you can put them all in a Custom-mode ‘folder’. There are five modes: (Normal, Sport, Eco, Custom and N). All in all you’re dealing with a 247bhp (standard)/271bhp (Performance Package) animal here. Yes the TYPE R manages 300bhp but the GTi clips 230bhp. The upshot is that I got marvellous propulsion in the middle of the rev range: as if it gathered itself for a second or two before letting rip. I liked the driving position a lot but I can see how it wouldn’t suit everyone. The 8ins touchscreen infotainment system is a freestanding tablet-like screen with plenty of practical use. And, as I’ve said, the level of spec is really high, with lots of helpful connectivity and personalisation made easily possible. One thing I liked was being able to get more ‘burble/noise’ from the engine exhaust. I wanted to feel that despite ordinary-enough surroundings I was driving something special. That wasn’t always the case. I expected good handling and ride but wanted better. Not helping was that overly heavy steering rack (even in Normal) I mentioned at the outset. Should do something about that, really. I tried it in extreme N mode too and boy was that a rock-hard ride over anything other than the smoothest of surfaces. For the race track only I think. The car handled well, brilliantly at times, and really got me involved. It hugged the apex of tight corners at speed but I felt it needed a little more refined level of chassis tuning. The sort that delicately spans the divide between harsh and sporty. It was not as polished as the lesser-powered Golf GTi in that respect but then again what is? I didn’t fall in love with it. I wasn’t craving another while in it but I came to savour and acknowledge it as a car of real potential and a serious declaration of intent. And I came away wondering how such an ordinary looking car could hide so much that was so good. Always one of the best selling cars in Ireland and with good reason. 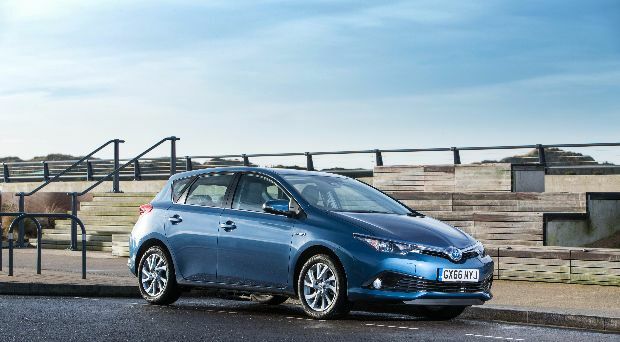 The Toyota Auris - sensible, practical and reliable. A safe choice in the competitive C-segment.